McDowell has won ten events on the European Tour, and four on the PGA Tour. He has also represented Ireland at the World Cup and been a member of the European Ryder Cup team on four occasions. He has appeared in the top-10 in the Official World Golf Ranking and his best ranking position is 4th (January to March 2011). Portrush is a small seaside resort town in County Antrim, Northern Ireland, on the County Londonderry border. The main part of the old town, including the railway station as well as most hotels, restaurants and bars, is built on a mile–long peninsula, Ramore Head, pointing north-northwest. It had a population of 6,454 people as measured by the 2011 Census. In the off-season, Portrush is a dormitory town for the nearby campus of the University of Ulster at Coleraine. It neighbours the resort of Portstewart. County Antrim is one of six counties that form Northern Ireland. Adjoined to the north-east shore of Lough Neagh, the county covers an area of 3,046 square kilometres (1,176 sq mi) and has a population of about 618,000. 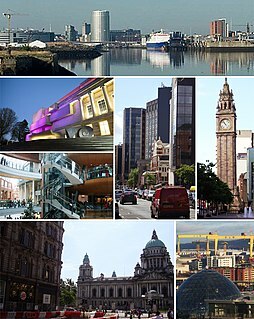 County Antrim has a population density of 203 people per square kilometre or 526 people per square mile. 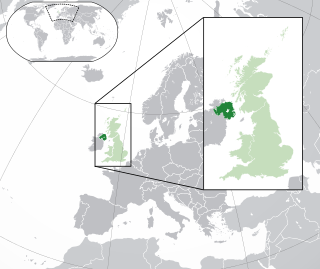 It is also one of the thirty-two traditional counties of Ireland, as well as part of the historic province of Ulster. Coleraine Academical Institution was a voluntary grammar school for boys in Coleraine, County Londonderry, Northern Ireland. As a senior with the Blazers in 2002, McDowell won six of twelve college events and the Haskins Award, given to the outstanding collegiate golfer in the United States. He was a member of the Great Britain and Ireland team which retained the Walker Cup in 2001 at Sea Island, Georgia. The UAB Blazers are the varsity intercollegiate athletic programs of the University of Alabama at Birmingham. The school is one of the fourteen member institutions of Conference USA (C-USA) and participates in Division I of the NCAA. The school's men's basketball team plays in 8,508-seat Bartow Arena. The Blazers' colors are forest green and old gold. The men's basketball program has a long history of success spanning several decades. The Haskins Award is presented annually by the Haskins Commission to honor the most outstanding collegiate golfer in the United States. The award is named in memory of Fred Haskins, former golf teaching professional at the Country Club of Columbus (Georgia). Votes are tabulated by the Haskins Commission from select writers, golf coaches, and collegiate golfers. It is college golf's equivalent to college football's Heisman Trophy. The Walker Cup is a golf trophy contested in odd-numbered years by leading amateur golfers in two teams: United States, and Great Britain and Ireland. The official name is the Walker Cup Match. It is organised by The R&A and the United States Golf Association (USGA). In 1921 the Royal Liverpool Golf Club hosted an unofficial contest which was followed by official annual contests from 1922 through 1924. From 1925 they became biennial, held on even-number years. After World War II they switched to odd-numbered years. They are held alternately in the U.S., and Ireland or Britain. That win led to McDowell being given honorary life membership at the Royal Portrush Golf Club. He did not win in his second season, but in 2004 he claimed the Telecom Italia Open and finished sixth on the European Tour's Order of Merit. In 2005, he divided his time between the European and U.S. PGA Tours. He was not yet a full member of the PGA Tour, but his top-50 placing in the Official World Golf Ranking insured that he received invitations to play in many events in the United States. McDowell managed two top-10 finishes on the PGA Tour, including a tie for second place at the Bay Hill Invitational, which enabled him to earn enough money to become fully exempt on the PGA Tour in 2006. He failed, however, to finish in the top-150 in the 2006 PGA Tour money list, and decided to return to the European Tour for 2007. In 2008 he returned to the winner's enclosure by winning first the Ballantine's Championship in South Korea, and then the Barclays Scottish Open. He played in the 2008 Ryder Cup, earning 2.5 points for the European team and finished the season ranked fifth on the Order of Merit. In June 2010, McDowell won the U.S. Open at Pebble Beach, becoming the first Northern Irishman to accomplish the feat, and the first European U.S. Open winner since Tony Jacklin in 1970. McDowell's manager, Conor Ridge, accepted bookings for American TV shows, such as The Tonight Show with Jay Leno , as well as a cameo role in Entourage . Shortly after winning the U.S. Open, McDowell joined the PGA Tour and earned a five-year exemption for winning a major. He finished the 2010 season with another win at the Andalucía Valderrama Masters and was second behind Martin Kaymer in the 2010 Race to Dubai standings. McDowell had a solid but unspectacular season in 2011 where he did not record a win on either of the main tours. He finished third on four occasions, three on the European Tour and once on the PGA Tour. McDowell finished the year 16th on the European Tour's Race to Dubai, his year consisting of 17 out of 18 cuts made and five top-10 finishes. In May 2011, McDowell was in contention to win the PGA Tour's flagship event, The Players Championship, but shot a final round 79 to end his chances. He earned over a million dollars on the PGA Tour but could only finish the year 73rd in the FedEx Cup standings. McDowell opened up the year with a third-place finish at the Abu Dhabi HSBC Golf Championship on the European Tour in January. He finished two strokes behind winner Robert Rock. In March 2012, McDowell recorded his joint best finish on the PGA Tour outside of his U.S. Open win, when he finished as runner-up, five strokes behind Tiger Woods at the Arnold Palmer Invitational. This was the second time McDowell had been a runner-up on the PGA Tour. Two weeks later, McDowell had his best performance at The Masters, when he finished in a tie for 12th. He shot a final round of 68 to jump up inside the top 15. McDowell was runner up in May 2012 at the Volvo World Match Play Championship at the Finca Cortesin Golf Club, losing the final 1 down to Belgium's Nicolas Colsaerts. In a tight match, McDowell was never more than 2 down but was never in front in the match either. After the match he admitted that the better player won and that he played poorly, shooting five over for the round. Previously in the knockout stages, McDowell had beaten Richard Finch 3&2, Sergio García on the 19th hole and Rafael Cabrera-Bello 2 up. In June 2012, the U.S. Open returned to California, when it was held at the Olympic Club in San Francisco, less than 100 miles from Pebble Beach, the site of McDowell's 2010 U.S. Open victory. Again he was in contention after rounds of 69-72-68 on the first three days had positioned him at one under for the championship. He was tied for the lead going into the final day with Jim Furyk, both playing in the final group on Sunday. The second time in three years that McDowell had featured in the final group of the U.S. Open. Despite a disappointing front nine, where he found himself four over, he made several birdies on the back nine, including one on the 17th hole to trail by one shot with one hole to play. After a good drive and approach to the green, he was faced with a 25-foot putt to tie the lead and force a playoff, but narrowly missed it to the left and had to settle for a par. This led to McDowell finishing in a tie for second place with Michael Thompson, one stroke behind the champion, Webb Simpson. McDowell started the season on the PGA Tour at the Northern Trust Open, where he shot 73-72 to miss the cut. He played the following week at the WGC-Accenture Match Play Championship and reached the quarter-finals. It was his best ever showing at the tournament, beating Pádraig Harrington 2-up, Alexander Norén in 20 holes and Shane Lowry 3&2, before losing 1-down to Jason Day in the quarter-finals. McDowell played in The Honda Classic the week after and recorded his second consecutive top-10 with a T-9 finish. The next week he played in the final group with Tiger Woods in the WGC-Cadillac Championship and finished in a T-3 position. He missed the cut in the Masters Tournament by one stroke, bogeying the last hole. The next week he played the RBC Heritage. In the final round in stormy weather, he posted a two-under-par 69. He entered a playoff with fellow U.S. Open champion Webb Simpson. Simpson bogeyed the first hole and McDowell parred to win his first regular PGA Tour event and his first tour win since 2010. At the Ryder Cup, he formed a successful partnership with former opponent Victor Dubuisson with comfortable wins the afternoon foursomes on Friday  and Saturday. In the lead match of the Sunday singles, McDowell recovered from being 3 down to Jordan Spieth to win 2&1. With these wins Europe won the Ryder Cup. McDowell endured one of his worst years as a professional during the 2015 season. In fifteen events on the PGA Tour, McDowell made only eight cuts, with just one top five finish, coming in his first tournament of the year. In this tournament, the WGC-HSBC Champions, he held the 18, 36 and 54 hole leads and began Sunday with a one stroke lead. He shot a final round of 73 and missed a birdie putt on the final hole, which would have earned him a place in the playoff. He finished the 2015 season at 160th in the FedEx Cup standings and was the first time he had missed out on qualifying for the playoffs since 2010. In the 2015–16 PGA Tour season, McDowell won $2,596,170 and finished 27th in the season-long FedEx Cup race. In the 2016–17 PGA Tour season, McDowell only had 4 top 10 finishes and finished 136th in the FedEx Cup. In the 2017–18 PGA Tour season, McDowell struggled again and only won $581,024 and finished 144th in the FedEx Cup. This left him with limited status on the PGA Tour for the 2018-2019 season. On 31 March 2019, McDowell won his fourth PGA Tour title at the Corales Puntacana Resort and Club Championship in the Dominican Republic. McDowell is also partner in owning a restaurant, Nona Blue, that he opened outside of his neighborhood Lake Nona Golf & Country Club. Nona Blue is considered a "Modern Tavern." James Michael Furyk is an American professional golfer who plays on the PGA Tour. In 2010, he was the FedEx Cup champion and PGA Tour Player of the Year. He has won one major championship, the 2003 U.S. Open. Furyk holds the record for the lowest score in PGA Tour history with a 58 which he shot during the final round of the 2016 Travelers Championship. Pádraig Peter Harrington is an Irish professional golfer who plays on the European Tour and the PGA Tour. He won three major championships: The Open Championship in 2007 and 2008 and the PGA Championship, also in 2008. He spent over 300 weeks in the top-10 of the world rankings, and reached a career-high ranking of third in July 2008. Paul Noel McGinley is an Irish professional golfer who has won four events on the European Tour. At the 2002 Ryder Cup, he famously holed a ten-foot putt on the 18th hole in his match against Jim Furyk at The Belfry which won the Ryder Cup for Europe. He was the winning captain of Europe in the 2014 Ryder Cup and the first Irishman to captain Europe's Ryder Cup side. Darren Christopher Clarke, is a professional golfer from Northern Ireland who currently plays on the PGA Tour Champions and has previously played on the European Tour and PGA Tour. He has won 21 tournaments worldwide on a number of golf's main tours including the European Tour, the PGA Tour, the Sunshine Tour and the Japan Golf Tour. His biggest victory came when he won the 2011 Open Championship at Royal St George's in England, his first major win after more than 20 years and 54 attempts. Paul Stewart Lawrie is a Scottish professional golfer who is best known for winning The Open Championship in 1999. He was a vice-captain for the European Ryder Cup team in 2016. Luke Campbell Donald MBE is an English professional golfer who has been the World Number One. He plays mainly on the U.S.-based PGA Tour but is also a member of the European Tour. Francesco Molinari is an Italian professional golfer. He won the 2018 Open Championship, his first and only major victory, and the first major won by an Italian professional golfer. The Open Championship win capped a successful season in which he won the 2018 BMW PGA Championship, his sixth win on the European Tour, and the Quicken Loans National, his first PGA Tour win. At the end of the season, Molinari won 5 out of 5 points as Europe won the 2018 Ryder Cup. Hunter Myles Mahan is an American professional golfer who plays on the PGA Tour. He is a winner of two World Golf Championship events, the 2010 WGC-Bridgestone Invitational and the 2012 WGC-Accenture Match Play Championship. Mahan has spent 19 weeks in the top-10 of the Official World Golf Ranking. He reached a career-high world ranking of No. 4 on April 1, 2012, becoming the highest ranked American golfer at the time. Oliver John Wilson is an English professional golfer. 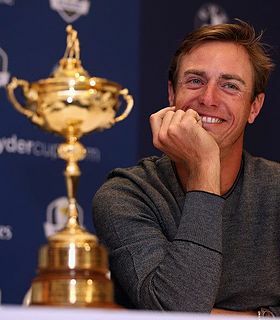 Wilson was a member of the 2008 Ryder Cup, but had to wait six years for his first European Tour win, the 2014 Alfred Dunhill Links Championship. Nicolas Colsaerts is a Belgian professional golfer currently playing on the European Tour and previously on the PGA Tour. Martin Kaymer is a German professional golfer. A winner of two major championships, he was also the No. 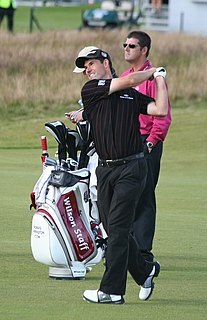 1 ranked golfer in the Official World Golf Ranking for eight weeks in 2011. James Frederick Webb Simpson is an American professional golfer on the PGA Tour who won the 2012 U.S. Open and the 2018 Players Championship. As an amateur, he was a member of the United States' victorious 2007 Walker Cup and 2007 Palmer Cup teams. In college, Simpson played on the Wake Forest University golf team on the Arnold Palmer scholarship. 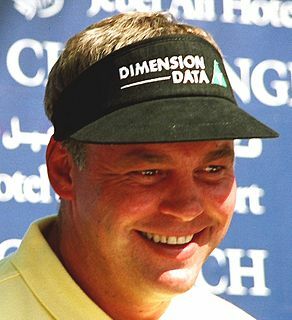 After turning professional, Simpson played on the Nationwide Tour where he finished in second place twice. Simpson qualified for the PGA Tour after his tie for seventh at the 2008 PGA Tour Qualifying School. In 2011, Simpson had his first two victories on the PGA Tour, which came at the Wyndham Championship and at the Deutsche Bank Championship, a FedEx Cup playoff event. These wins helped him finish in second on the Tour's money list. He was also a member of the United States' victorious 2011 Presidents Cup and 2013 Presidents Cup teams. Keegan Hansen Bradley is an American professional golfer who competes on the PGA Tour. He has won four tour events, most notably the 2011 PGA Championship. He is one of four golfers to win in his major debut, along with Ben Curtis, Willie Park, Sr. and Francis Ouimet. 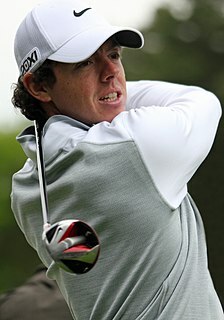 He was the 2011 PGA Tour Rookie of the Year and has briefly featured in the top ten of the Official World Golf Ranking. 1 2 3 Murphy, Una (22 June 2010). "Golf buddies pay tribute to McDowell". The Irish Times . Retrieved 22 June 2010. Graeme is a Portrush man and in terms of golf, he is Irish. He is with the Irish professional golf team – it's the same as the rugby. ↑ Donegan, Lawrence (10 July 2010). "Graeme McDowell is on a mission to prove he is no one-hit wonder". The Observer. 1 2 3 4 5 6 Gallagher, Paul (22 June 2010). "Local lad is the toast of Portrush and Rathmore Golf clubs". The Irish Times . Retrieved 22 June 2010. ↑ "Graeme McDowell secures Wales Open crown". BBC Sport. 6 June 2010. Retrieved 8 June 2010. 1 2 3 Donegan, Lawrence (21 June 2010). "Graeme McDowell has the steely calm to build on his US Open victory". The Guardian . Retrieved 21 June 2010. ↑ "US Open: Graeme McDowell triumphs at Pebble Beach". BBC Sport . 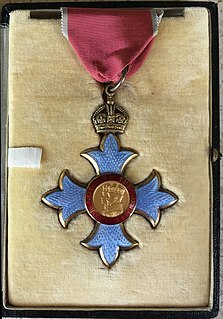 21 June 2010. Retrieved 14 July 2010. 1 2 Reason, Mark (21 June 2010). "US Open 2010: 'Ice Man' Graeme McDowell shows his cool with victory at Pebble Beach". The Daily Telegraph . Retrieved 21 June 2010. 1 2 3 Keogh, Brian (22 June 2010). "McDowell sets sights on Ryder Cup glory". Irish Examiner . Retrieved 22 June 2010. 1 2 "Graeme McDowell town set for victory party". The Belfast Telegraph . 21 June 2010. Retrieved 21 June 2010. ↑ "Ryder Cup 2010 reaction: Graeme McDowell says pressure was 'bananas'". The Telegraph. 4 October 2010. Retrieved 4 October 2010. ↑ "McDowell seals dramatic win as Europe regains Ryder Cup". BBC Sport. 4 October 2010. Retrieved 4 October 2010. ↑ "Graeme McDowell beats Tiger Woods in Chevron play-off". BBC Sport. 5 December 2010. Retrieved 6 December 2010. ↑ "Graeme McDowell earns third win of 2013 with French Open triumph". BBC Sport. 7 July 2013. Retrieved 8 July 2013. ↑ Corrigan, James (22 February 2014). "WGC Matchplay 2014: Graeme McDowell's brave charge ends with defeat to young Frenchman Victor Dubuisson". The Daily Telegraph . London. ↑ "WGC-Cadillac Championship: Patrick Reed wins by one shot". BBC Sport . 9 March 2014. ↑ "Masters: Rory McIlroy and Darren Clarke make cut but Graeme McDowell out as Bubba Watson leads". The Belfast Telegraph . Belfast. 12 April 2014. ↑ "Graeme McDowell 'robbed' at Irish Open as his putting goes astray". The Daily Express . London. 23 June 2014. ↑ Casey, Phil (6 July 2014). "French Open 2014: Graeme McDowell cuts a late dash to retain title". The Independent . London. ↑ Hodgetts, Rob (20 July 2014). "Rory McIlroy wins third major title at 2014 Open Championship". BBC Sport . ↑ "Graeme McDowell ties for ninth place at Canadian Open". BBC Sport . 28 July 2014. ↑ Corrigan, James (4 August 2014). "Rory McIlroy wins WGC Bridgestone Invitational and marches back to world No 1 spot in form of his life". The Daily Telegraph . London. ↑ "2014 FedEx Cup Standings". PGA Tour . Retrieved 9 January 2015. ↑ "Ryder Cup: Stephen Gallacher fails to qualify at Italian Open". BBC Sport . 31 August 2014. 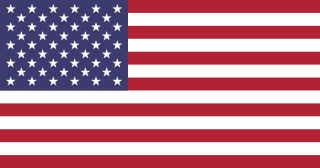 ↑ "Ryder Cup 2014: Europe take 5-3 lead over United States". BBC Sport . 26 September 2014. ↑ Liew, Jonathan (27 September 2014). "Victor Dubuisson, Europe's unknown quantity, makes a Ryder Cup name for himself in spectacular style". The Daily Telegraph . London. ↑ Mell, Randall (28 September 2014). "McDowell rallies to beat Spieth on anniversary". Golf Channel . ↑ Casey, Phil (9 November 2014). "Bubba Watson overturns Graeme McDowell's lead to win the WGC-HSBC Champions after frantic finish in Shanghai". The Daily Mail . London. ↑ "European Tour Race to Dubai". European Tour . Retrieved 9 January 2015. ↑ "McDowell wins 3-man playoff at OHL Classic". PGA Tour . Retrieved 3 January 2016. ↑ "Graeme McDowell happy to join the queue for Ryder Cup captaincy". Irish Examiner. 1 October 2018. ↑ Stanage, Niall (10 July 2011). "Northern Ireland's McIlroy Transcends Boundaries". The New York Times. 1 2 Coleman, Maureen (28 September 2013). "Graeme McDowell to marry Kristin Stape in intimate Bahamas service". Belfast Telegraph. Retrieved 20 December 2015. ↑ Porter, Kyle (1 October 2013). "Graeme McDowell got married last weekend and Rory McIlroy didn't go". CBS Sports. Retrieved 20 December 2015. ↑ Williamson, Claire (26 August 2014). "Baby joy for Graeme McDowell and wife Kristin Stape". Belfast Telegraph. Retrieved 20 December 2015. ↑ "Graeme McDowell will not replace Rory McIlroy at Rio Olympics for Ireland". BBC Sport. 23 June 2016. ↑ "No. 59647". The London Gazette (Supplement). 31 December 2010. p. 19.